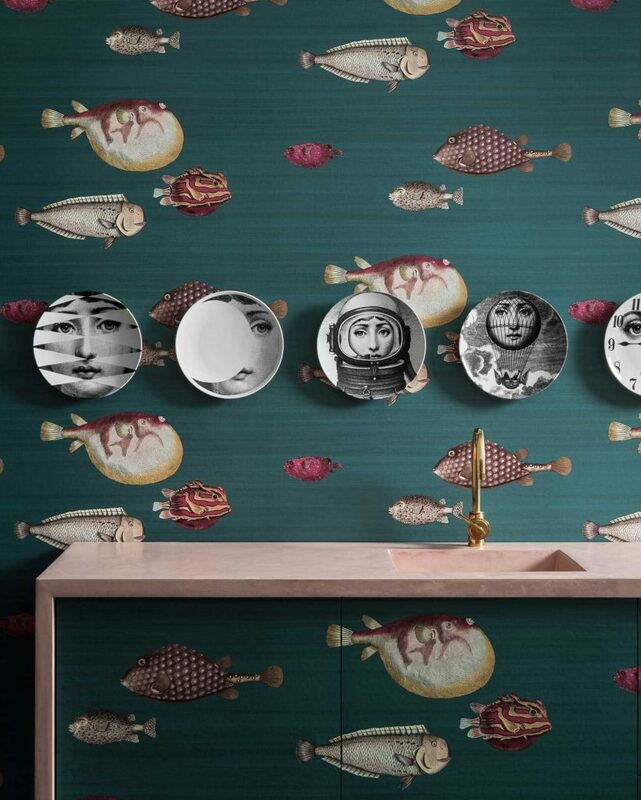 This is a prior collection from Cole and Son, the Fornasetti wallpapers is a brilliantly imaginative and expressive wallcovering collection consisting of many scenic views into the dream scape of Fornasetti. 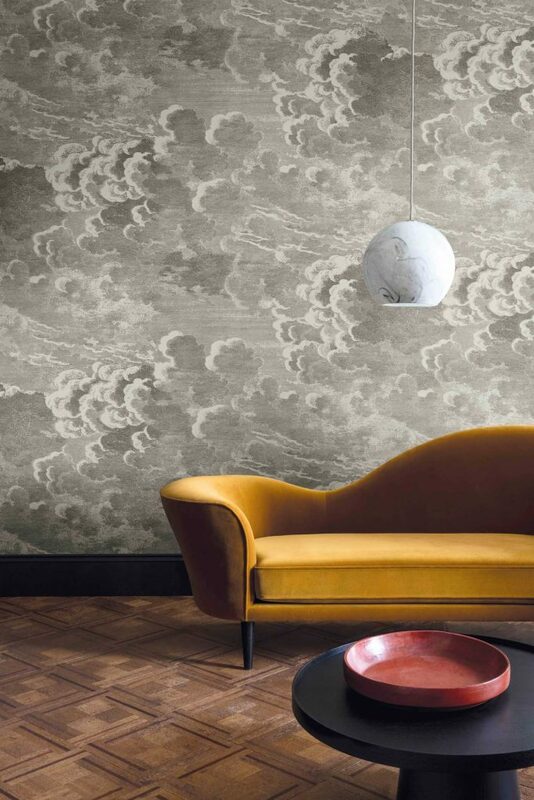 From soft and beautiful rolling view of cumulus clouds dripping in comforting gray, walls of ancient texts of fact and fiction, mystical forests with dangling treasure keys, this collection is sure to make your mind marvel at the creativity behind its work. 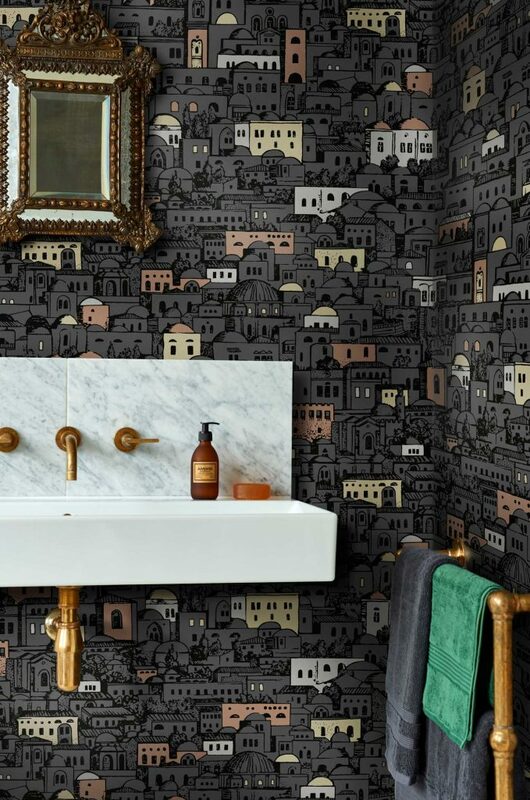 This truly inspired collection features a wide range of color palettes suited for just about any taste which vibrant and colorful patterns mixed between the dark and sophisticated. Lets dive in. 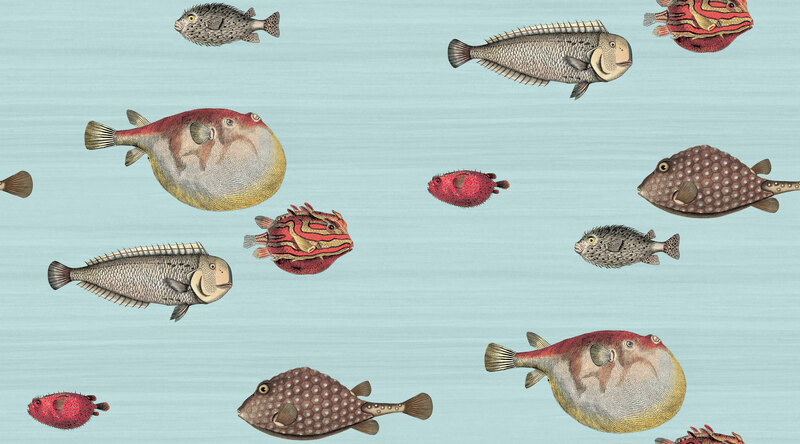 Imagine venturing deep beneath the ocean surface in a completely steel submarine and peering at the oceanic life that surrounds you. 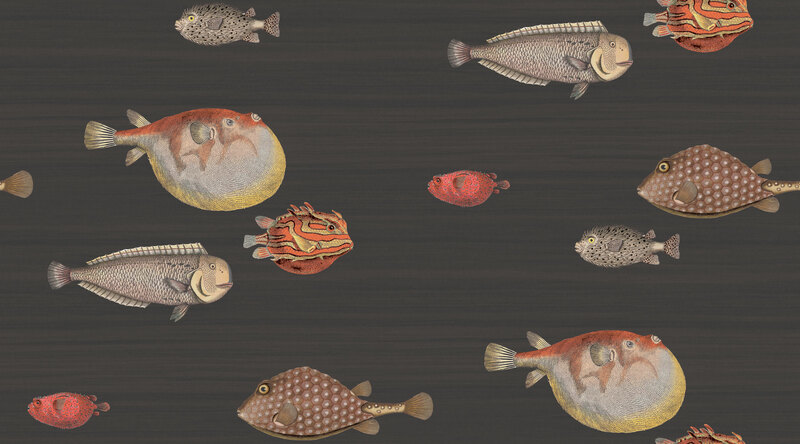 Acquario takes this vision and brings it to the walls of your home with rare and exotic fish that are traditionally found in some of the deepest depths of the sea. 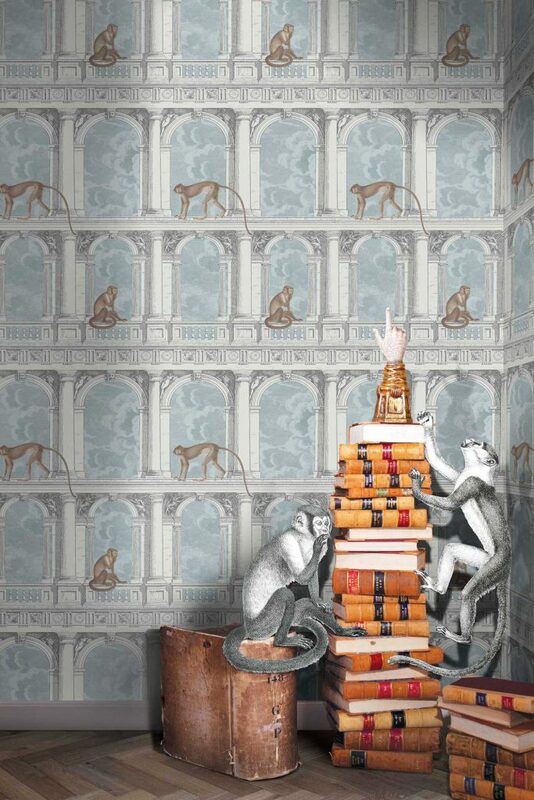 Welcome to the enchanted forest within the mind of Fornasetti. 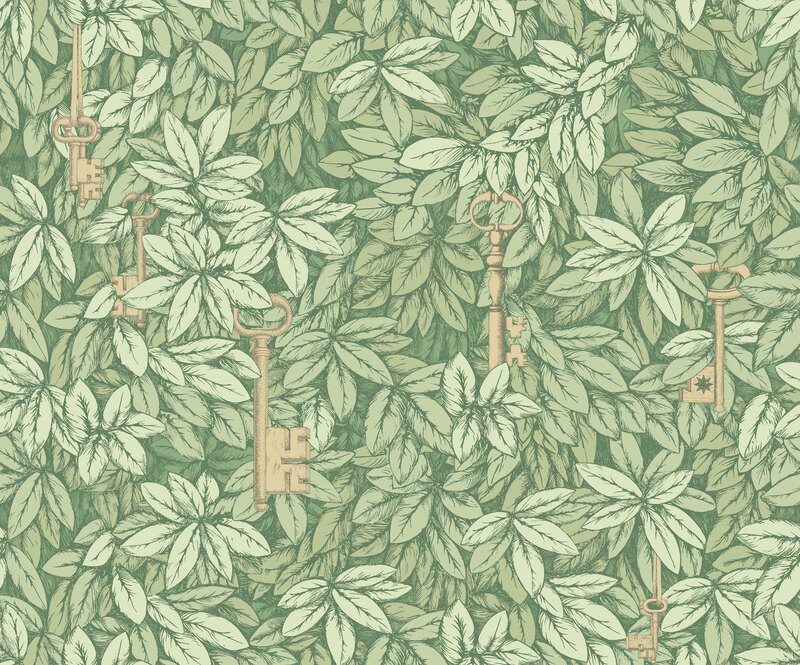 Eucalyptus like leaves spread wide and Avast with dangling treasure keys paints a surreal scene on your walls. 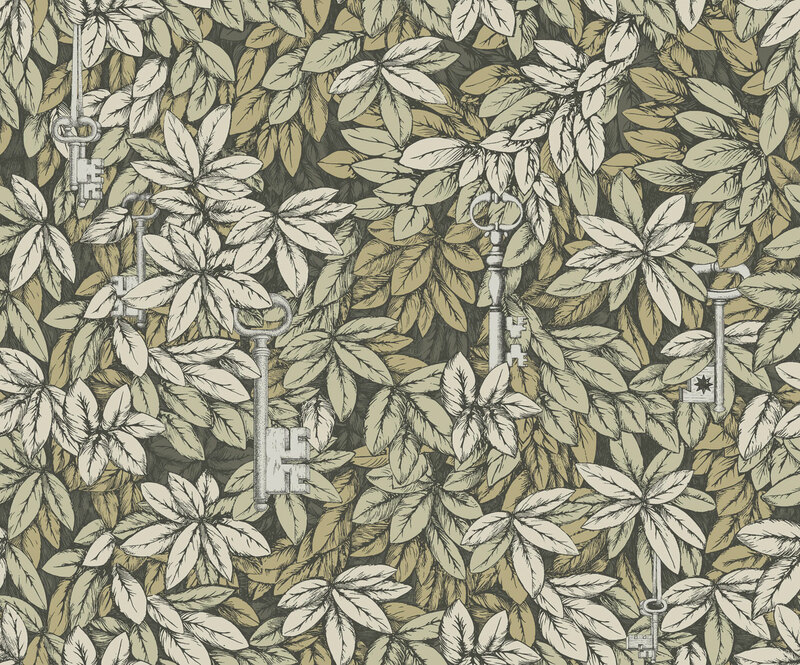 Chiavi Segrete captures the charm of vintage foliage prints, while adding the Cole and Son charm. 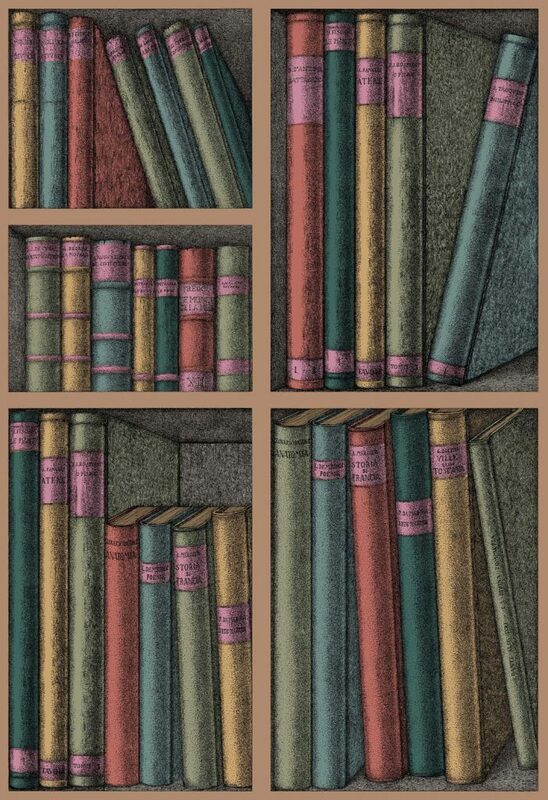 Give off the energy and sophistication of a grand study, without having to install book shelves on every wall of course. 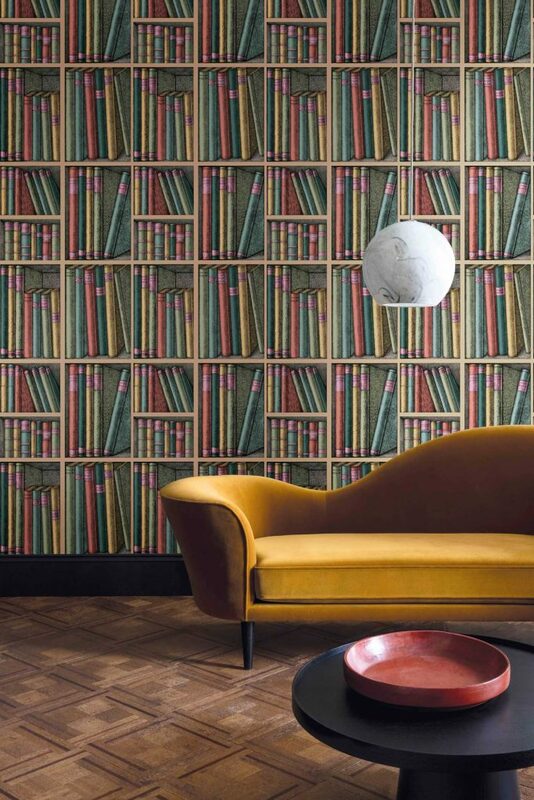 Ex Libris depicts colorful muted tones of assorted texts and novels across the walls. 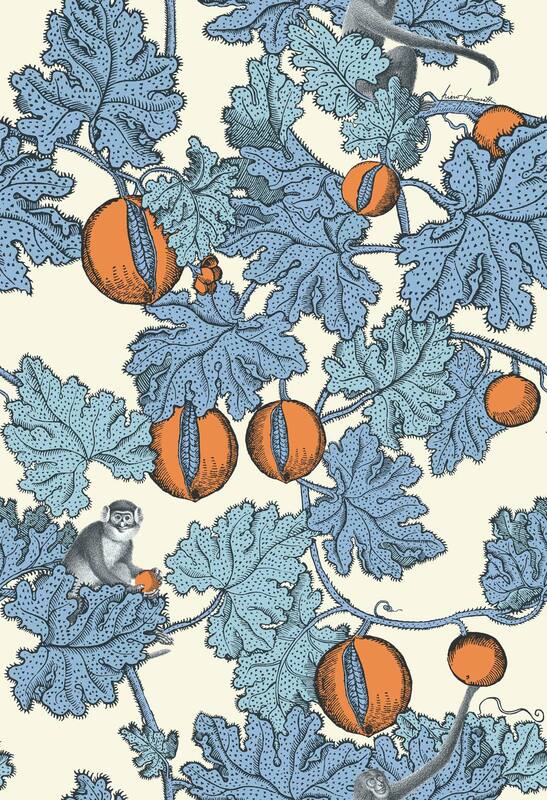 Frutto Proibito is an iconic wallcovering print from Cole and Son. 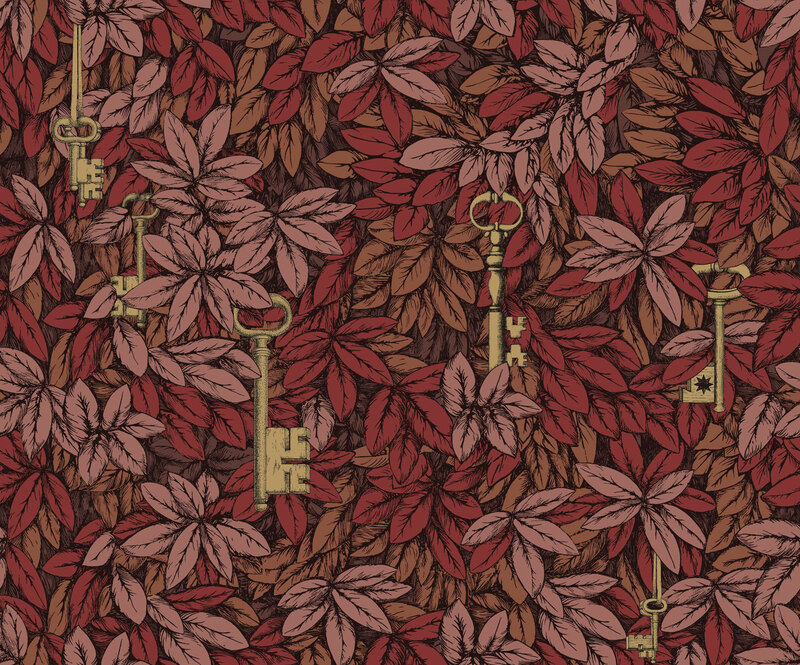 The playful and vibrant details are where this paper truly shines. 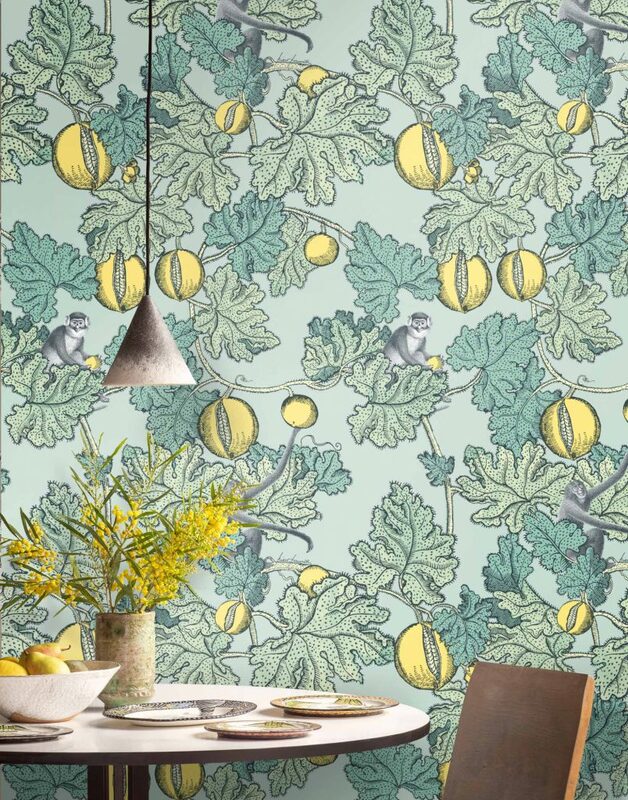 Within the large twisting vines and leaves you’ll notice stipulated patterns that provide an excellent texture atop the matte background. 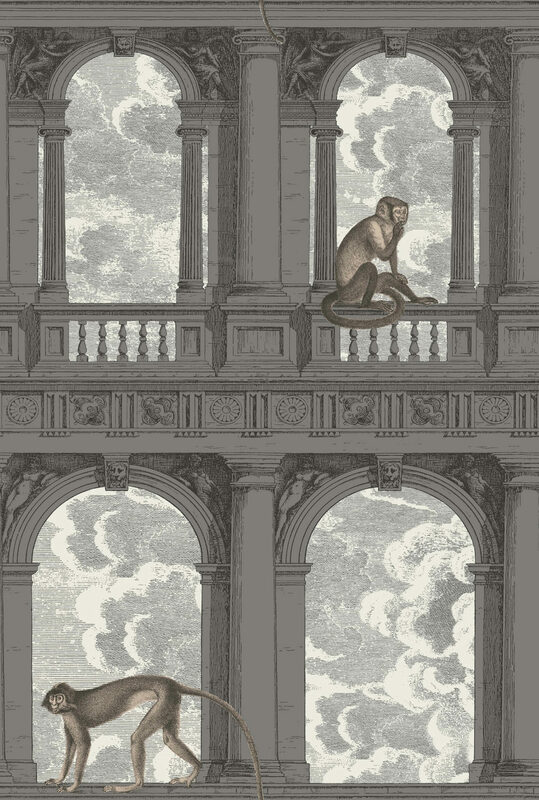 The artistry in hot air balloons is something many individuals seem to overlook. 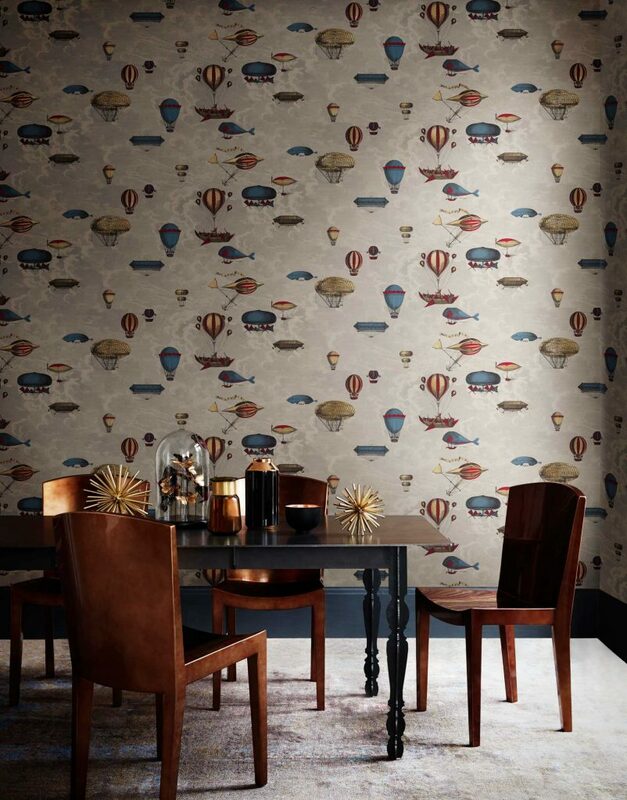 Macchine Volanti paints the vivid scenery of a sky bound journey with an ornate assortment of hot air balloons floating against the soft and rolling clouds. 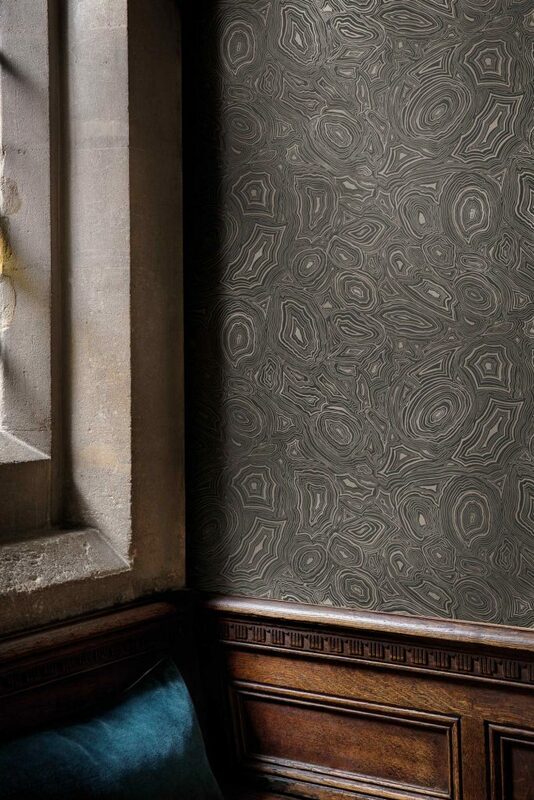 We’ve noticed a huge influx in geode and gemstone inspired furniture, fabric, and wallpaper in the past year. 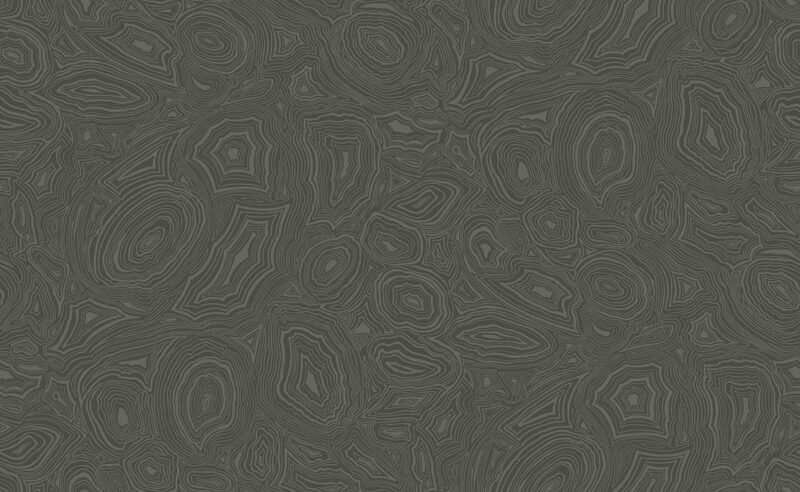 Malachite makes an excellent addition to this trend with its two marble inspired color ways. 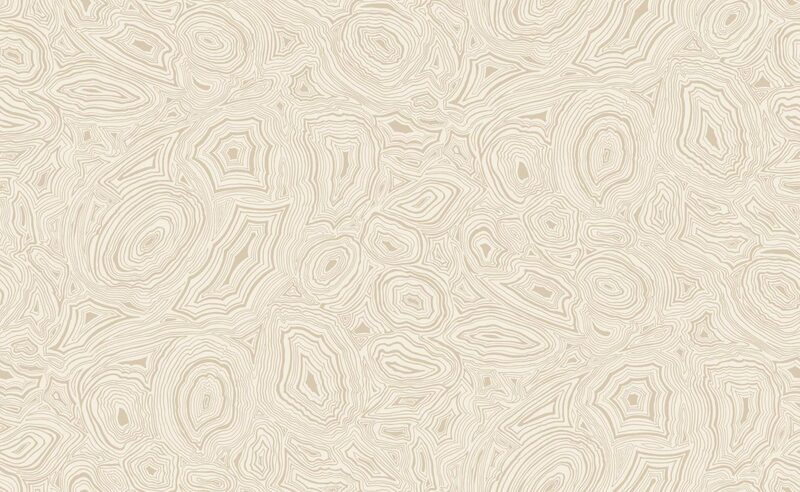 The abstract geometric formations are quite the wonder and give the space astounding texture. 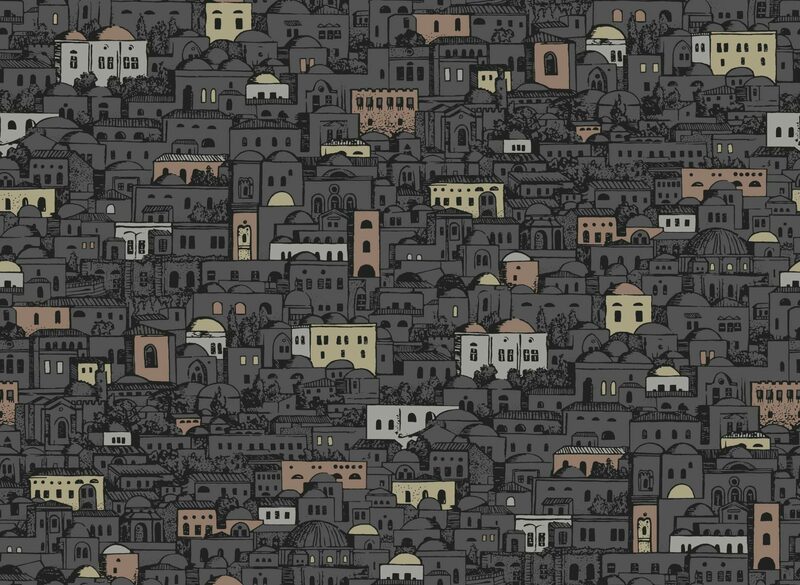 Mediterranea is a small scale graphic repeat of the city scape inspired by the classic architectural structure of its native buildings and landscape. 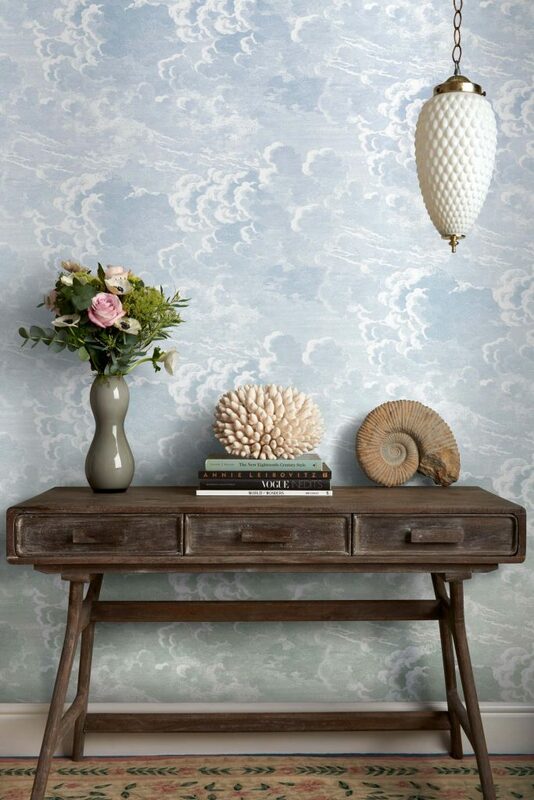 The use of soft grays, white, and neutral beiges is relaxing on the eyes and creates sophistication while keeping it fun. 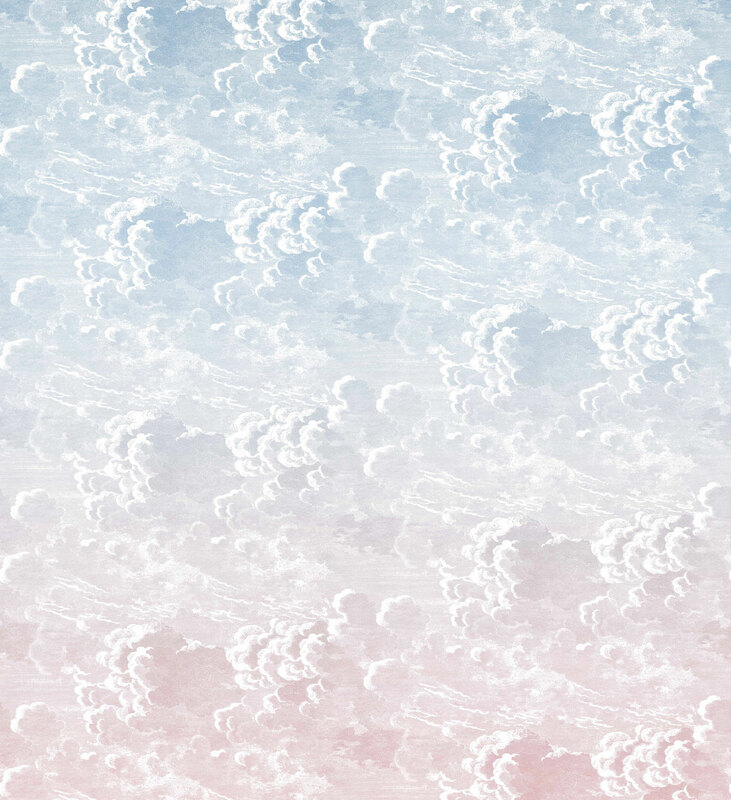 Nuvole al Tramanto paints the dream like cotton candy skies many West Coasters enjoy on Summer nights. 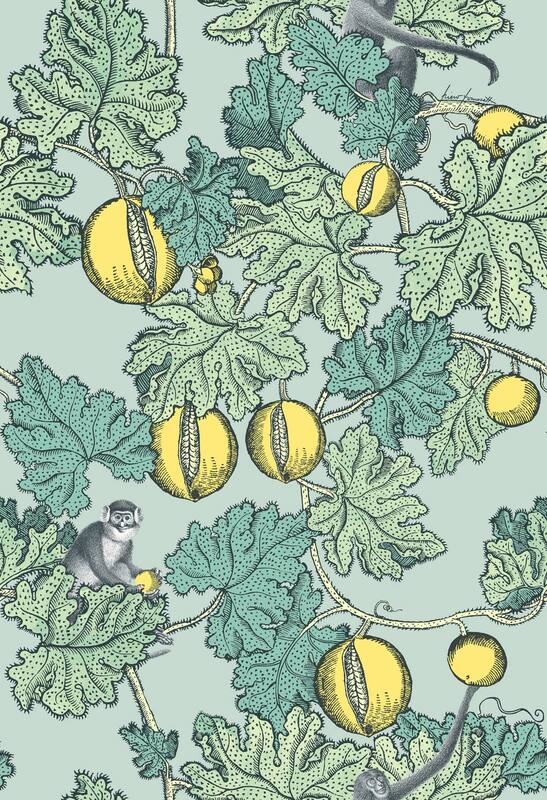 These playful and soft color palettes can add light and brightness into a room that may seem too drab. 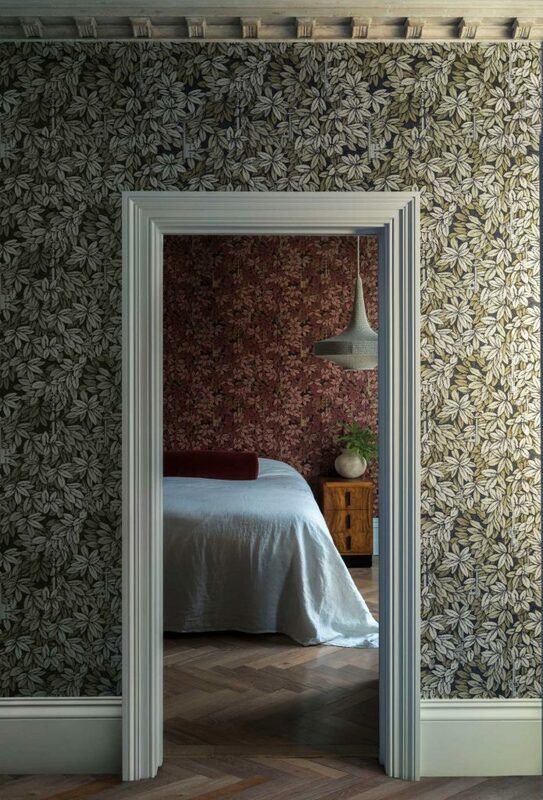 Nuvolette takes the beauty of Maccine Volanti, and simplifies it. Remove the hot air balloons, and you’re left with gorgeous cumulus clouds rolling against the paper skies. 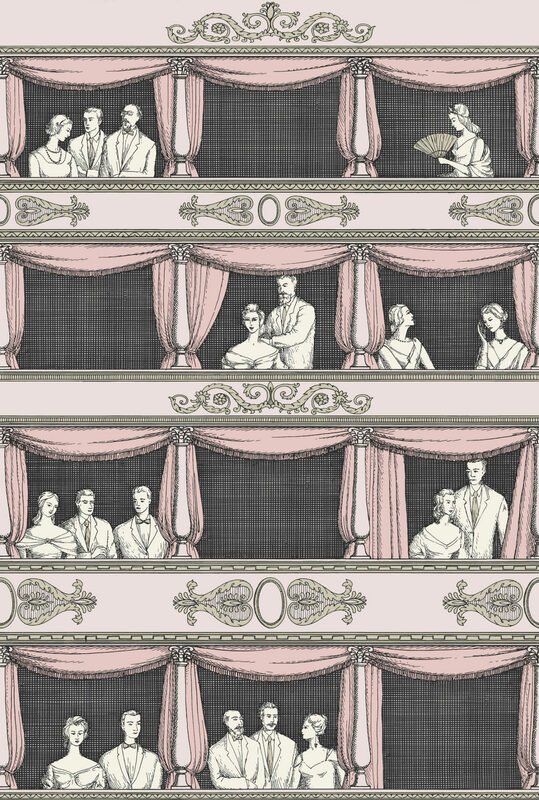 The sketch like shadowing and detailing looks like it is straight out of a vintage story book. 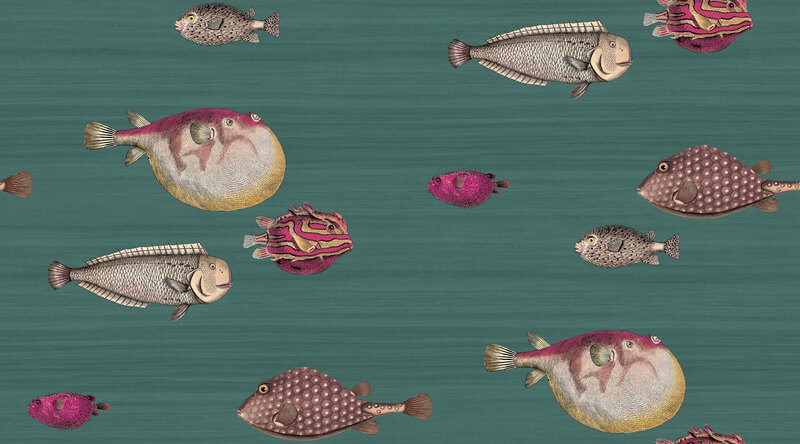 The inner workings of ones imagination can be complex, silly, or just down right mystifying. 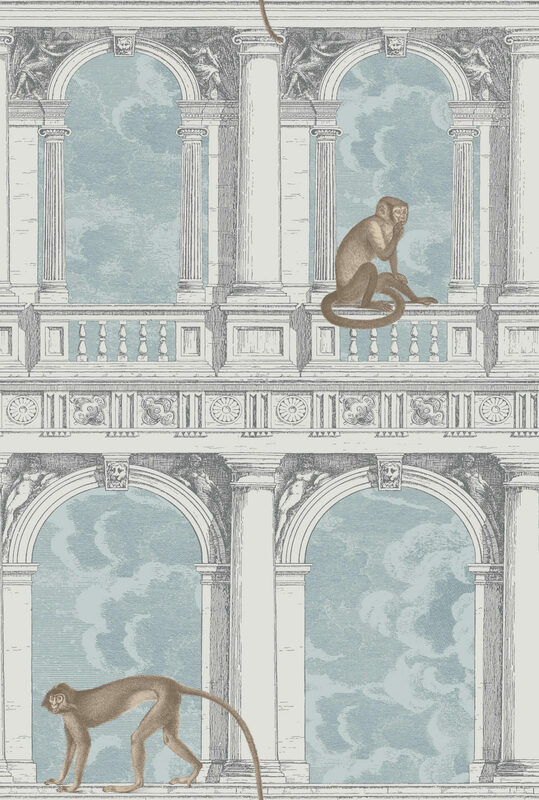 Walk into the mind of Fornasetti with this imaginative print featuring monkeys walking along roman inspired columns and archways, with the signature Nuvolette clouds rolling in the background. 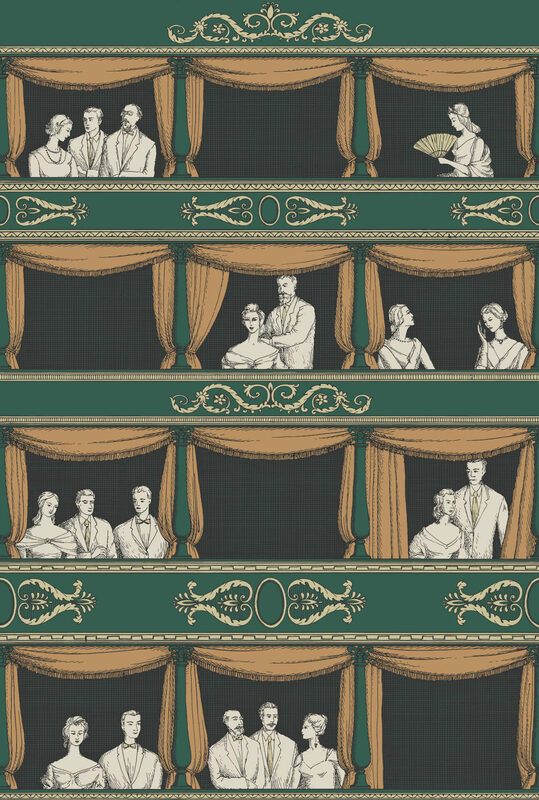 Vintage and retro stylized depiction of theater seat balconies makes up Teatro. 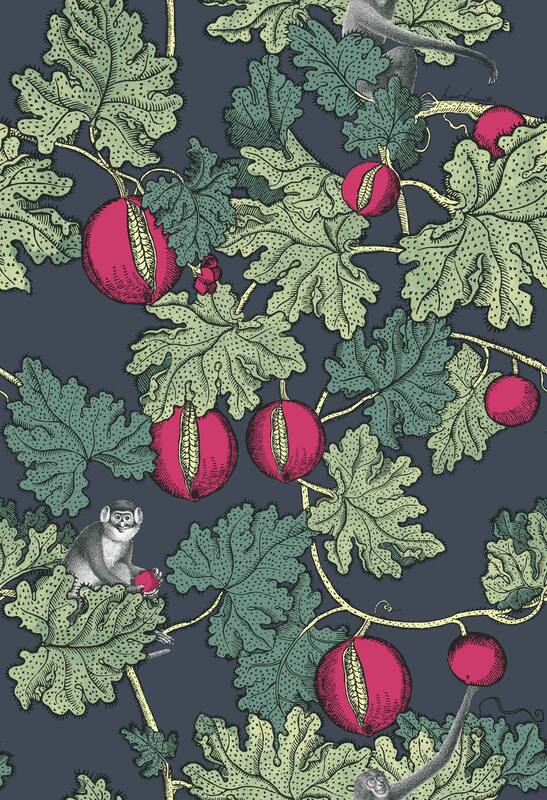 If you’re looking for something bright and fresh the pink colorway is charming, while the forest green and clay color provides a classic vintage beauty. 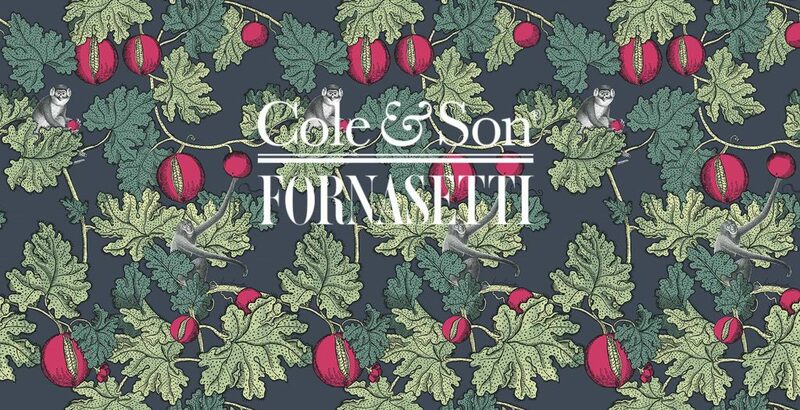 This concludes our coverage of the Fornasetti collection from Cole and Son wallpaper. 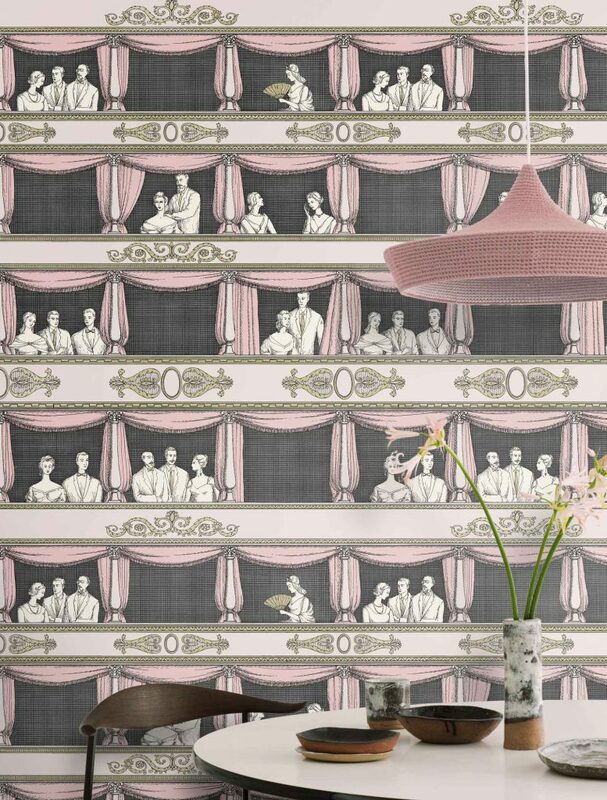 If you enjoyed any of these whimsical and imaginative wallpaper simply click on their room shot, or corresponding colorway to gather more information. 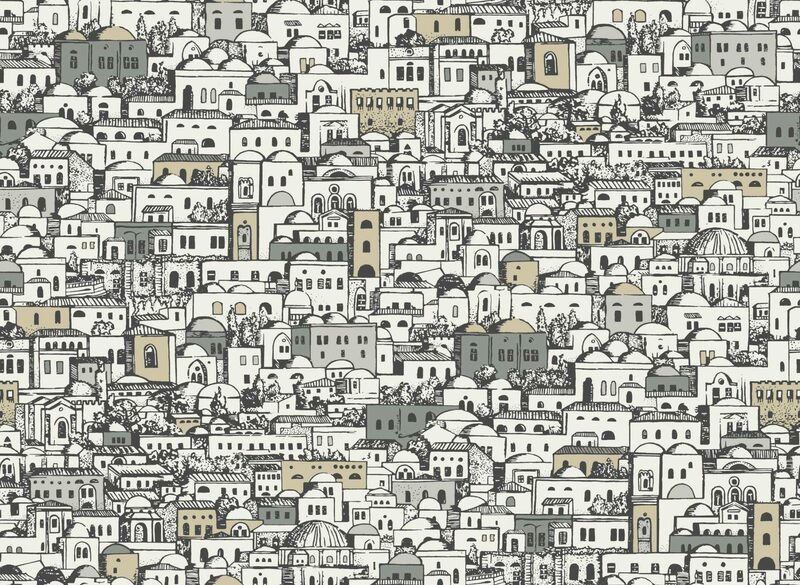 We carry all the top designer brands wallpaper and fabric, including Lee Jofa Fabric, Kravet Fabric, Cole and Son Fabric, just about any you can think of. Until next time!